Slotted screens are obtained by making cuts all over the pvc pipe in order to exploit the screen collecting capability to maximum level. Slots are horizontal to pipes generatricies. 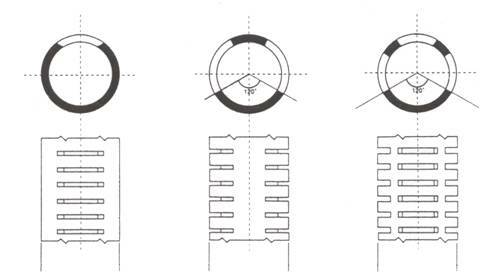 Data show that horizontal openings are very hydraulically efficient and provide high collapse resistance thanks to the arc shape of the material around them. 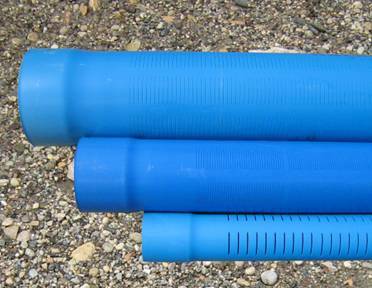 PVC slotted screens are usually used in fine soils to build up artesian wells, for drainages etc. 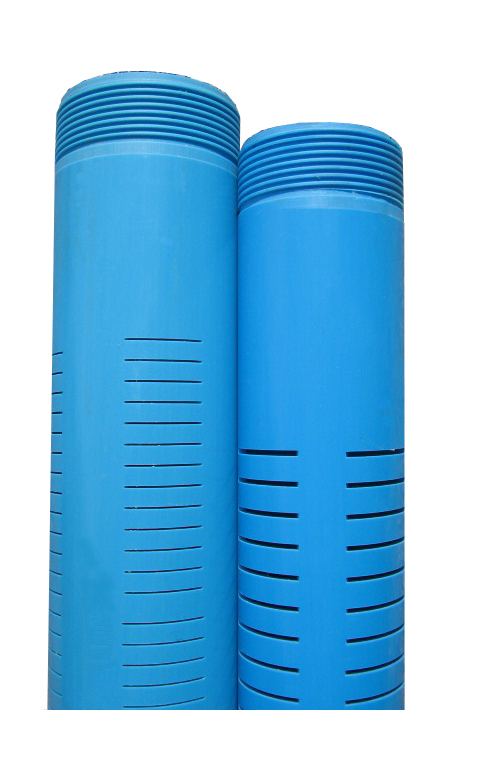 The product is manufactured according to customer needs: the slots length and number depend on the requested open area, moreover, cuts can be made on one, two, three or four sides of the pipe (see pic. 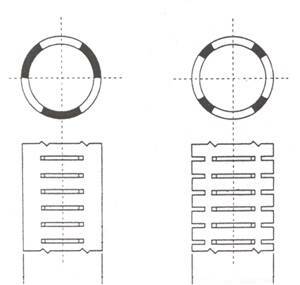 1 and 2), whereas the slots width is related to soil granulometry. joints, glue connections upon request. Rappresentazione in sezione di tagli realizzati su uno, due e tre lati. Rappresentazione in sezione di tagli realizzati su tre e quattro lati.